Please consult this sizeguide to determine your size. The sleeves are somewhat tight and not suited for full upperarms. The model on the 2nd picture is rather short: about 1.63m! New limited collection! 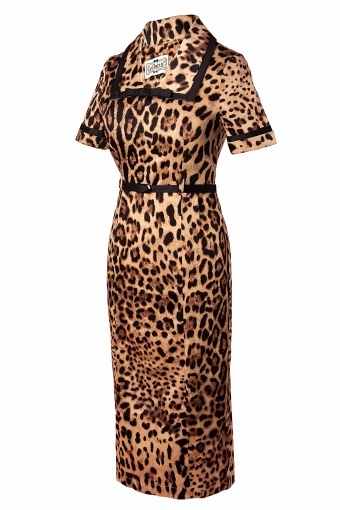 The 40s Fabiola dress leopard from Collectif. 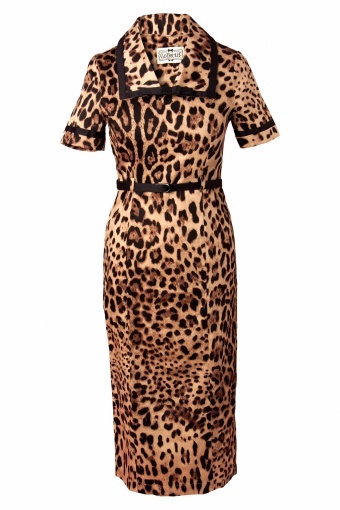 Edgy version of typical fourties pencil dress. 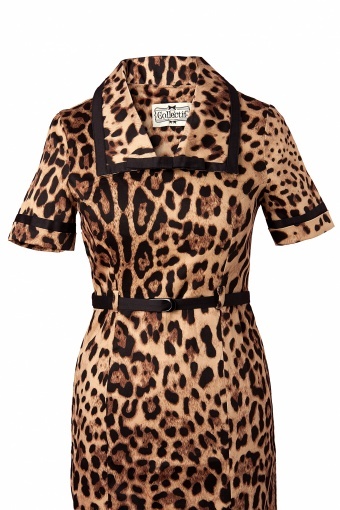 Very nice details: like the black pipings, cute bow on the collar and the handmade buttons at the slit. 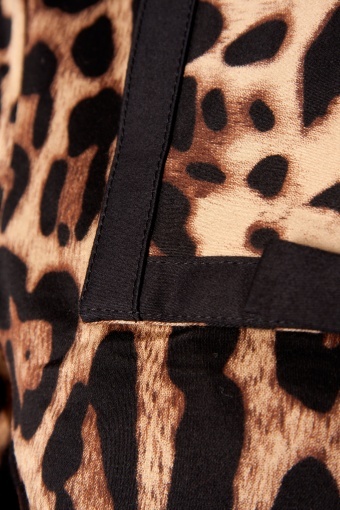 Side zipper and made of light stretchy cotton in a sassy leopard print. Attention! the model on picture 2 is very short: about 1.63m! Wear it to a party or office! Juihe...!! 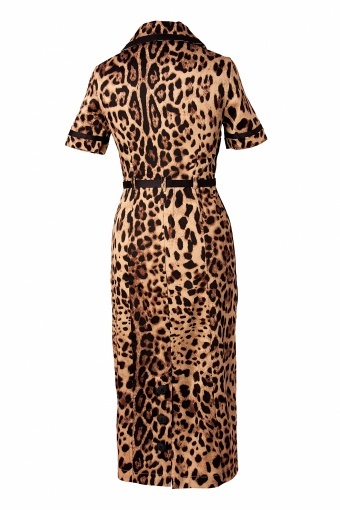 Zonet de Leopard dress gekregen. Nu nog sparen om hem mee naar Tanzania te nemen. Dus voorlopig even geen bestellingen meer ! !oei..oei...als dat maar lukt! !